I had the.best.time at my favourite charity shop on Saturday. After a few weeks off the thrifting scene, I was delighted to uncover a whole host of second hand goodies on my return. 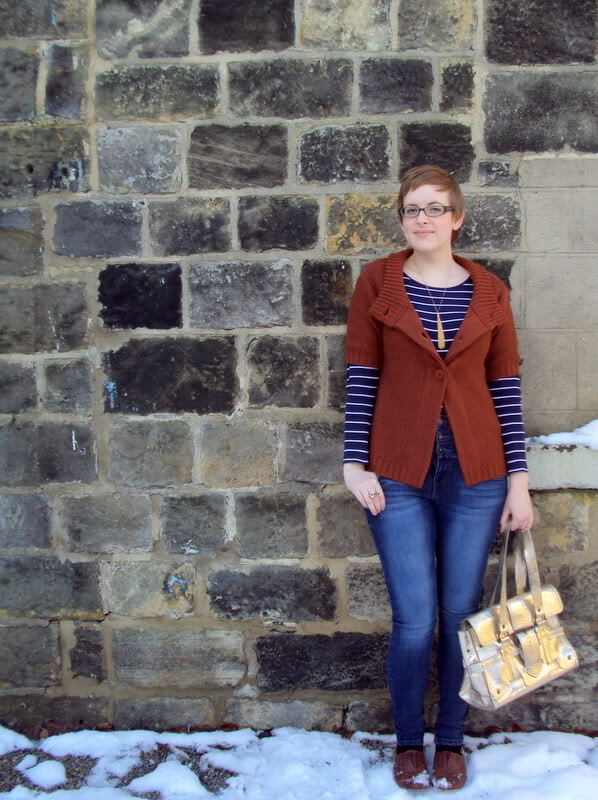 This gorgeous russet red Topshop wool cardigan was just £4, and the sparkly arm candy came in at £8. Not the cheapest of pieces, but definitely among the prettiest. 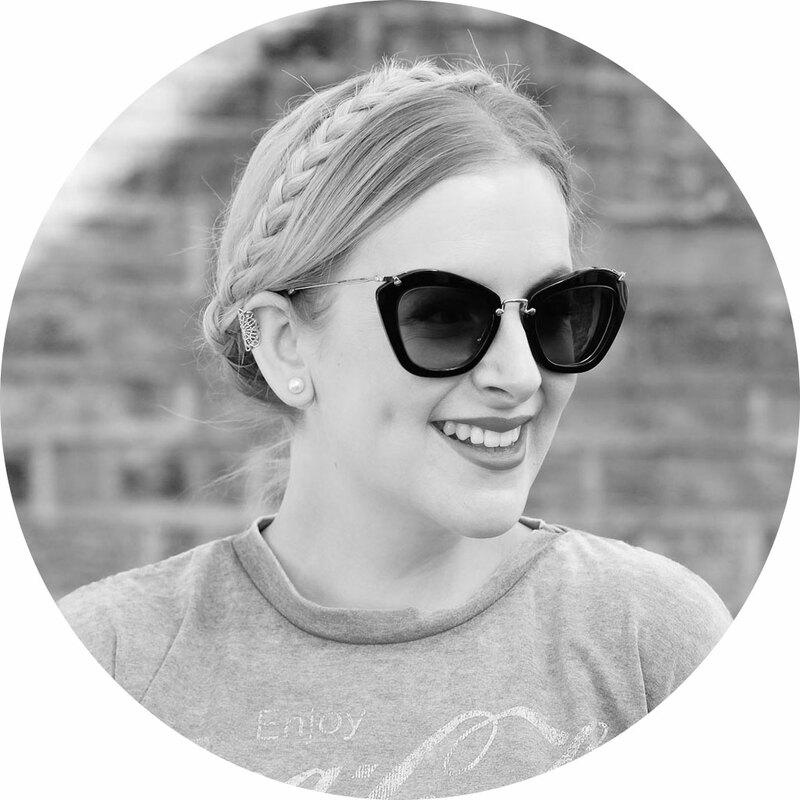 I wanted to be casual yet cosy for a day grappling with fairy lights and fir trees, so kept my outfit simple. There’s always room for something gold and glamorous though, and this beautiful tassel necklace kindly sent to me by GOGO PHILIP was the perfect finishing touch. 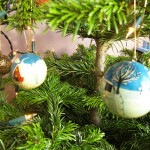 PS – Have you entered my First Day of Christmas giveaway yet? No? Off you pop then! 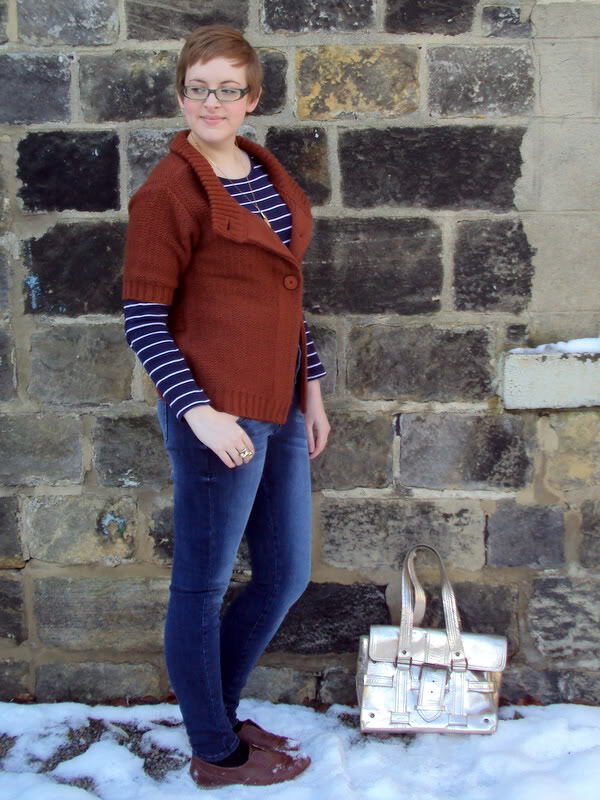 I love the colour of that Cardi, I would never have though to have put it with the striped top but it works so well. This is why I love blogs, they help you think about things your normally wouldnt. Its helped me be a bit more adventurous. Nice bag! I am loving your gogo phillip as well – isn’t Amy awesome?! You really do find some great stuff in your local charity shops! Niiiiiice find with that cardi. Very awesome colour this winter too. 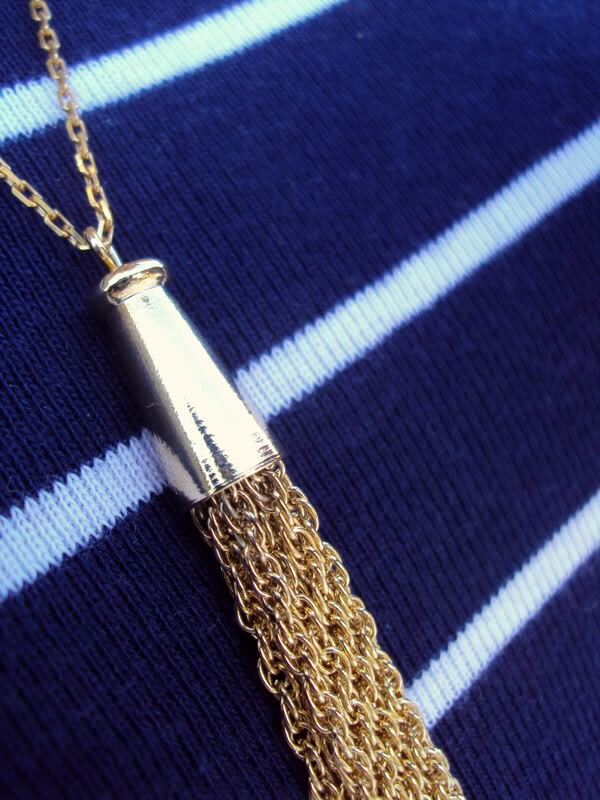 And I’m really intrigued with the necklace… off to check out GOGO PHILLIP. 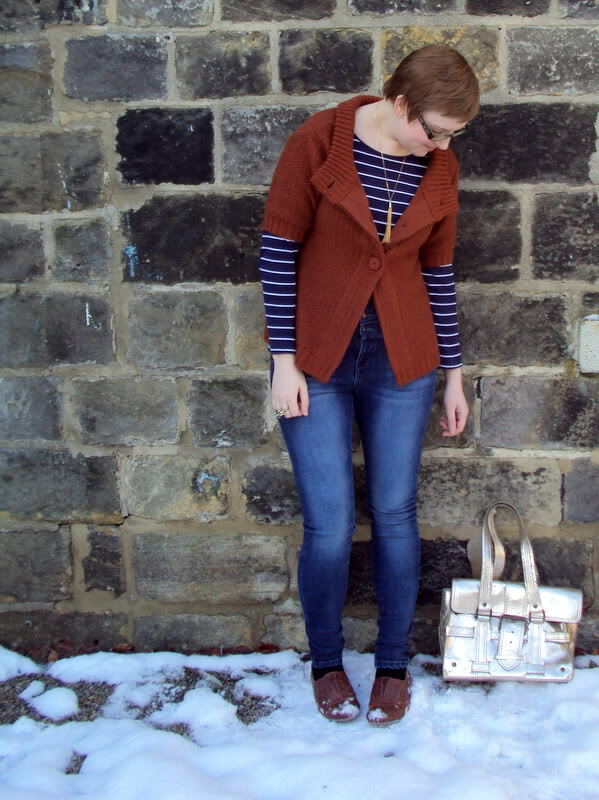 Love the outfit – the cardi’s great! Congrats on finding that sweater, that was a really REALLY good find! Your hair looks seriously amazing. I wish I had the guts to go all the way but I don’t dare so I’m keeping it asymetrical for time being! 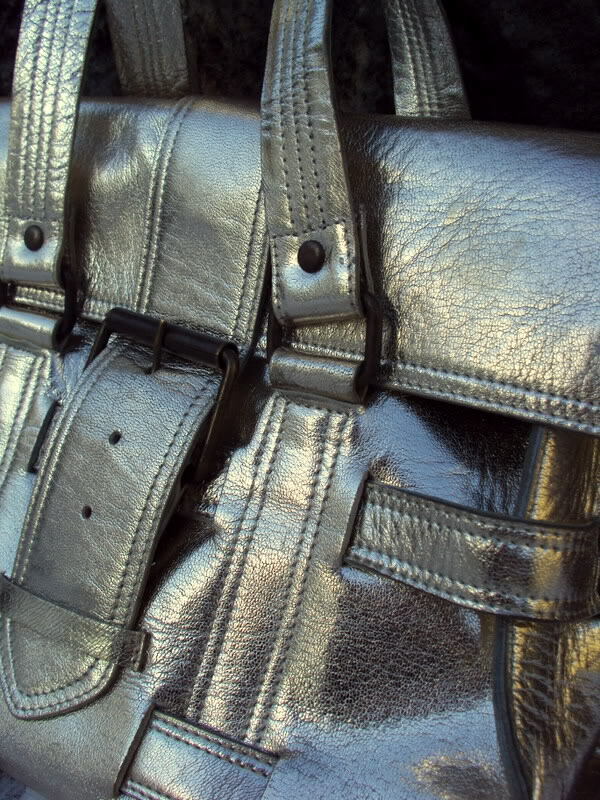 Bag is lovely too, I’m so jealous of people who find amazing stuff in charity shops, all I ever come out with is books! Well worth £8 to put a smile on your face! That russet colour seriously suits you beautifully! And what a find on the bag, it’s very Mulberry-esque. The glitz of the bag with the casual outfit works so well. Still loving your hair heaps. The Topshop cardi is so lovely. I’m off to my local charity shops today for the first time in a month, so I’m excited to see what I’ll find.